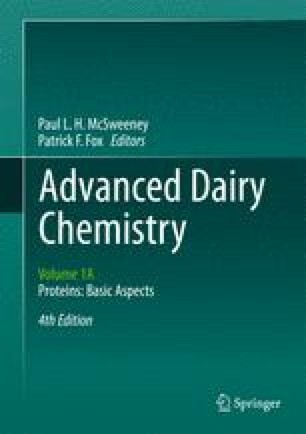 This chapter provides a general overview of the milk protein system: the history of its elucidation, heterogeneity, fractionation and characterization of the molecular properties of the principal proteins. Many of the minor proteins are also described. In addition to serving as sources of amino acids, many of the whey proteins have biological functions, which are now attracting much attention. The caseins exist as large colloidal aggregates, micelles, the structure and properties of which have been studied for more than 100 years; the history of these developments and the present views on the structure and properties of the casein micelle are described.